The annual Consumer Electronics Show (CES) trade fair held at Las Vegas turns 50 this year. It's the mega-extravaganza of the tech world - the place where the people who are inventing the future go to show off the dazzling new toys they've been working on.With more than 800 exhibitors from 150 countries showing wares in 33 major categories from "Accessories - Audio Accessories" to "Wireless Services," CES is so big that no one can get their head around the whole thing - just like no one can really grasp how fast and hard incoming new technology will change everyday life in the coming decade. Augmented & Virtual Reality (AR/VR) is among those 33 CES technology categories, with 261 exhibitors - the largest showcase of AR/VR technology ever. A related category is Gaming, with 388 exhibitors.There's good reason to think AR/VR is among the technologies that will most profoundly change day-to-day lived experience in the years ahead - and the addictive nature of ever-improving VR games is only one of several reasons for that. AR/VR aren't stand-alone technologies that can be separated from other domains. The reality is that AR/VR will increasingly overlap with a lengthening list of other CES categories, like Health and Biotech, Robotics, Video, Wearables, or Vehicle Technologies.What is becoming clear is that in future, daily human experience will increasingly integrate AR and VR, just like it already integrates smartphone applications.AR/VR will be driven by exponential increases in the power of artificial intelligence computing, combined with ever larger data transmission speeds, greater ubiquity of ever cheaper, more sophisticated sensors, and ever-improving user interfaces - not just visual interfaces, but also auditory and haptic (touch) interfaces. There is no obvious upper limit to the potential for further improvement in these underlying technologies, and so there isn't any discernible limit to how powerful AR and VR can get, either. That's worth stopping and thinking about for a minute. Where am I? When am I? Who am I?Or a history class could sit and listen to a speech by Roman orator Cicero, in an interactive VR model of the Roman Senate - simultaneously translated from Latin into English. And using AR, visitors to Rome will be able to see the ancient city overlaid onto the modern city using AR-equipped glasses, with virtual tour guides explaining whatever they want to know as the tourist wanders through town.Cars will feature virtual reality displays to provide a better sense of the environment around them. AR and VR tech will also be built into smart eyeglasses, telemedicine apps, wardrobe and beauty makeover apps.Robin Raskin, who heads the Living in Digital Times center of the show, said augmented reality was already catching on for retail applications, with try-it-on-and-see beauty apps and in-store virtual mirrors. Augmented reality, she said, "lets us look at the real world and add valuable, entertaining and immersive information to it." AR will take "try before you buy" to a whole new level. If you have a digitized model of your physical dimensions, you'll be able to try on clothes or shoes from online catalogs virtually before you buy them, to see how they look - and order custom-made apparel and footwear that will fit you just right.Gaming firstAnalyst Jack Gold at J. Gold Associates said that despite the potential benefits of virtual and augmented reality in business or industry, "gaming is where it is going to take off first," because that's where people are spending money. In regards to non-gaming uses, "the issue is not whether [AR] has the potential to transform things, but whether you can put it into a space where consumers can afford it," Gold said. But some analysts worry that VR gaming will draw gamers ever further into a suite of illusory worlds, where they'll come to identify more with their VR avatars than with their daily lives. Millions may largely withdraw from their drab, unheroic meat-puppet lives, and instead go live mostly in imaginary VR game worlds, where they can be heroes. Television and gaming have already shown us how addictive media can be, leaving little real social interaction with other people in the physical world, and little physical exercise. 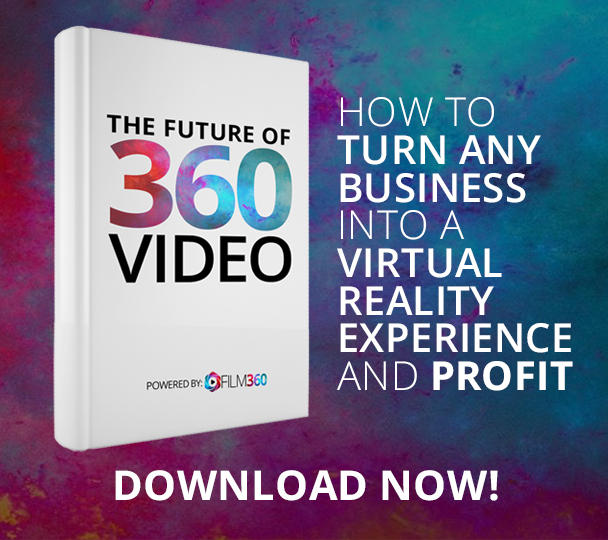 That's likely to get a good deal more extreme as interactive VR fantasy worlds get ever more compelling.At the 2014 New Establishment Summit, entrepreneur Elon Musk, founder of SpaceX and Tesla Motors, said of VR technology: "It's quite transformative. You really feel like you're there, and then when you come out of it, it feels like reality isn't real... I think we'll see less physical movement in the future, as a result of the virtual-reality stuff. "Musk added that as VR gets more realistic and incorporates technologies like haptic suits, VR "becomes, beyond a certain resolution, indistinguishable from reality." Thank You to the author Nils Zimmermann who writes for DW.com!